A friend and I were having coffee the other day at a little shop I frequent. I’ve gotten to know quite a few workers there, and they seem to remember me. (It’s actually become one of my remote offices. I’m there enough for random customers to remember me.) It’s small, cozy and they have wonderful tea. I’d pictured someone working hard to fill an order. Another assignment. A job to do. But it seems this young man’s father hadn’t done pottery in thirty years, and he began again because it was fun. My son makes pottery. The rapidly spinning wheel platforms the wet, wobbly clay, which whirls quickly while he carefully forms shapes, producing pieces that are beautiful and functional. It has been a passion of his for years. For him, it’s sheer fun. Not a job. Not a duty. He chooses to do it. With what little spare time he has. I’ve watched potters at work. Their attention to detail is amazing. As long as the wheel is moving, they need to keep at least one hand on the clay to keep their work centered, progressing the way they see it becoming. The more attentive and focused they are, the better the piece turns out. I get why God calls us clay. He is the One who gently molds us. I, however, am not an inanimate blob of clay. (Though there are those days…) I have opinions about how I’m being formed. Attitudes about the way it’s being done. And I push back when I don’t like something. Sometimes subtly. (I can be very passive-aggressive.) Sometimes I’m more demanding. Rarely do I rest in the middle of the wheel and allow myself to be shaped. At least not without a comment. Or an attitude. It is a loving Father who forms each of us. Carefully. Tenderly. Intentionally. And He knows what He has in mind for us to be like. What He sees us becoming. So why do I fight the Potter? I think I simply forget why He does what He does. At times I feel like I must be just another job to Him. Then I just see the “what” He’s doing. And often that’s painful or hard or uncomfortable. Because He loves me. He wants my best, even when all I can see is my situation. What does He get out of it? A relationship with a beloved child that will last for eternity. And He enjoys that. He enjoys me. 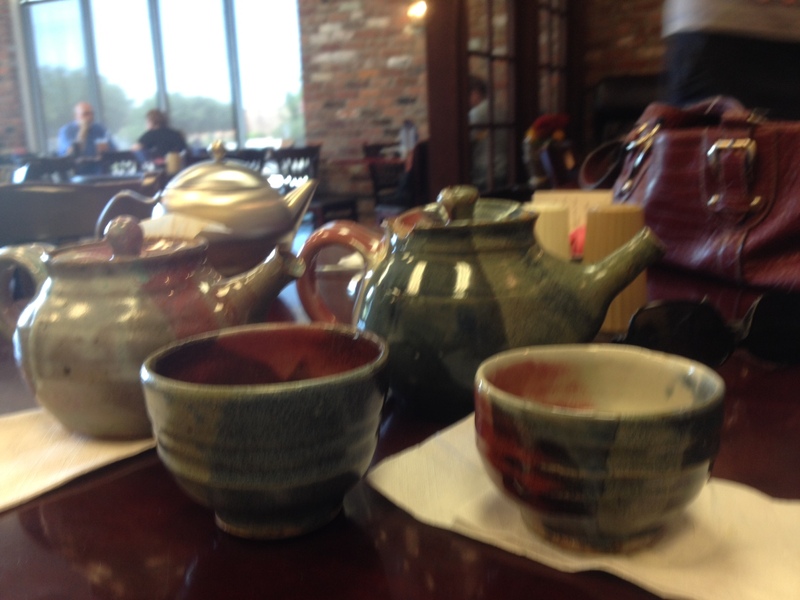 Posted by daylerogers on May 2, 2013 in Uncategorized and tagged clay, God, love, mold, potter, pottery. Thanks. This made me smile today. Beautiful writing, Dayle! I like the way the Potter made you!